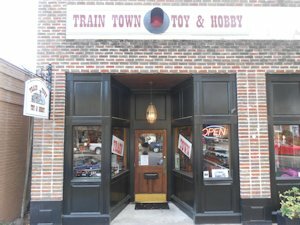 Train Town Toy & Hobby is the Charleston area's best source for model trains in sizes O, HO and N. We are located in historic downtown Summerville, South Carolina, just two miles south of Interstate 26, off of Main Street. Find us on Mapquest! 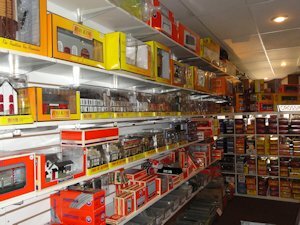 We carry a wide array of steam and diesel engines, rolling stock, train sets and accessories, with emphasis on the local road names, Norfolk Southern, CSX, and Amtrak. A library of books and videos inspires and entertains. Our goal is to provide selection, information, inspiration, and recreation to train enthusiasts of all ages. 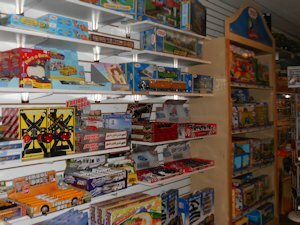 Train Town has an experienced staff to help you whether it is a first time purchase or a special order item for an established layout or collector. Little engineers, ages 3 and up, find the familiar THOMAS & FRIENDS characters and accessories at TrainTown, as well as a large assortment of die cast vehicles, kites, and other toys for boys and girls. "We are a proud member of the Charleston Area Model Railroad Club and Summerville DREAM.